You must be thinking that why you should bother installing WordPress manually. Considering that, there are a bunch of autoinstallers readily available these days. Firstly it just works, everytime. 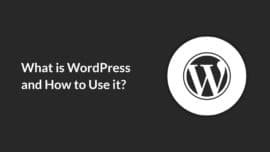 In addition to that, for a beginner, knowing how to install WordPress manually will only increase your understanding of WordPress — a tadbit more. 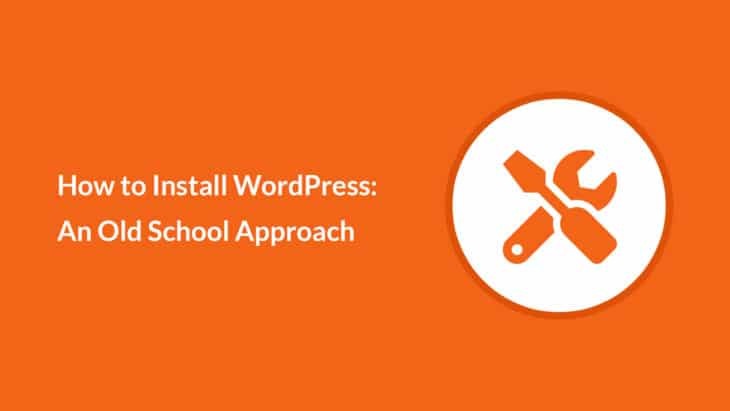 Although, WordPress installation is a straight forward, still, you will need a few essential tools in this process. Let us list those tools for you, beforehand. The word content management in a content management system implies that content must be saved somewhere to be retrieved later. This is why WordPress uses a database to save and later retrieve data to perform different operations on it. In order to setup a WordPress website, you will need to create and have access to a database. You can easily go through that process by using phpMyAdmin or using Database Wizard if your website is already hosted on a live server. Most hosting providers like cPanel provide the Database Wizard by default. 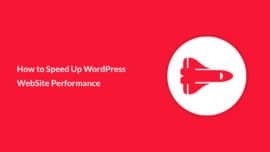 The process to setup WordPress manually is almost identical. That is to say, whether you are installing it on your hosting server or locally, its the same process with just little tweaks. Ok, so first thing first, go ahead and download the latest copy of WordPress from the official website here. Login to your cPanel account using the credentials provided by your hosting provider. 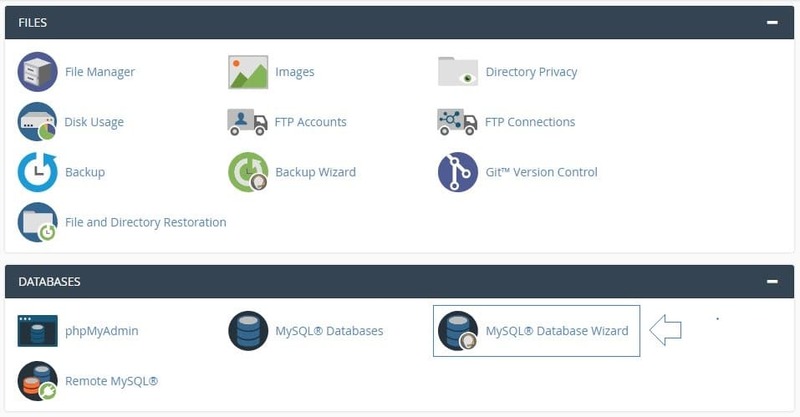 Once logged in, search for Database Wizard option depending upon the control panel your hosting provider is using. Simply create a database and a new user account. 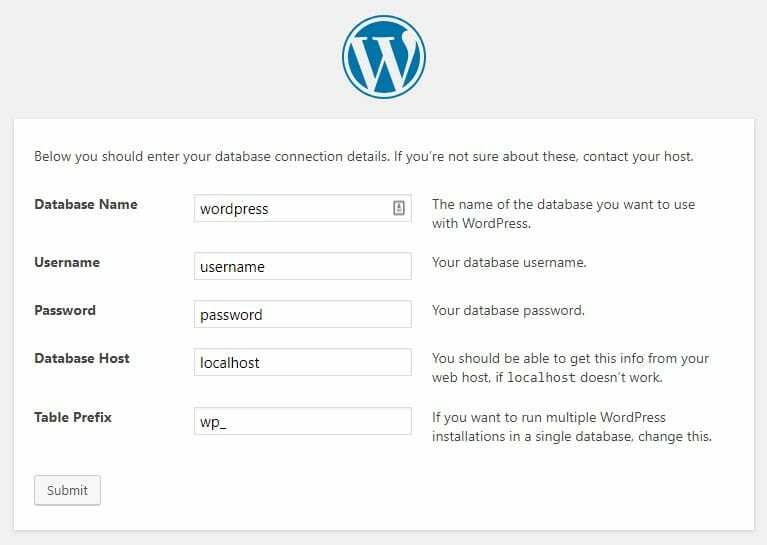 Also, make sure to assign that user to the newly created database for WordPress site. Note that, for security purposes, cPanel doesn’t allow creating databases using phpMyAdmin. Instead, it provides MySQL Database Wizard. After you have created a new database and a new user account, navigate to the “public_html” directory on your server. You can do this by using FileZilla FTP Client using the same cPanel credentials. Extract your downloaded compressed WordPress file. Now upload all the files within the extracted folder to “public_html” directory using FileZilla client. Also, make sure that you are not uploading the extracted single “wordpress” folder. Instead, upload all the files and folders of the “wordpress” directory as shown in the screenshot below. You can check to ensure that you have installed WordPress correctly by visiting your website domain in your web browser. There you will be greeted by WordPress installation wizard, which will prompt you to choose your language of choice. Most of your time, you will spend developing your websites locally than on a live server. So, it becomes important to know your way around using local development environments. There are plenty of good local development tools available. For Windows folks, there is WampServer, XAMPP, MAMP for Windows, and Bitnami etc. For MAC users, one popular option is to use MAMP Pro using its free version MAMP. No matter what your development environment of choice is. Setting up WordPress locally is a simple process. Start by accessing phpMyAdmin in your browser on “localhost/phpMyAdmin”. 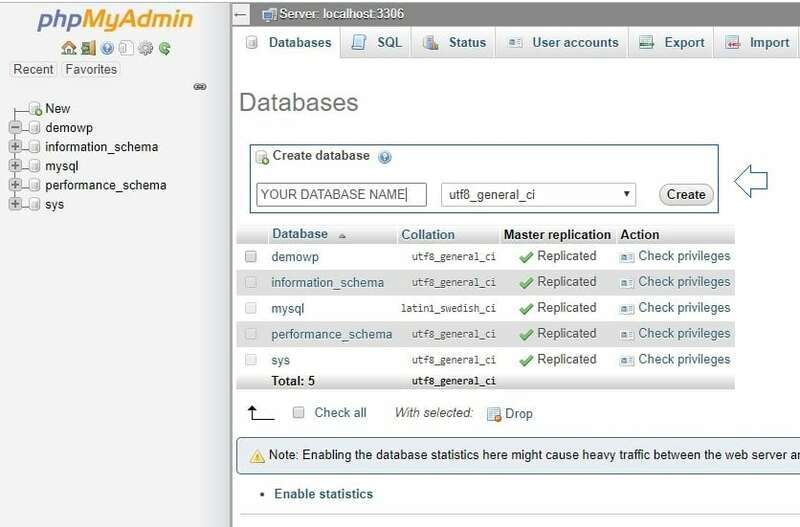 Further, create a database, a new user and assign it to the newly created database. Next, extract and copy the files and folder from “wordpress” directory. Now locate the root directory of your local server and paste the copied files and folders. The name of the root directory depends on the type of development tool you are using. Like, WampServer uses “www” while XAMPP and MAMP both use htdocs. 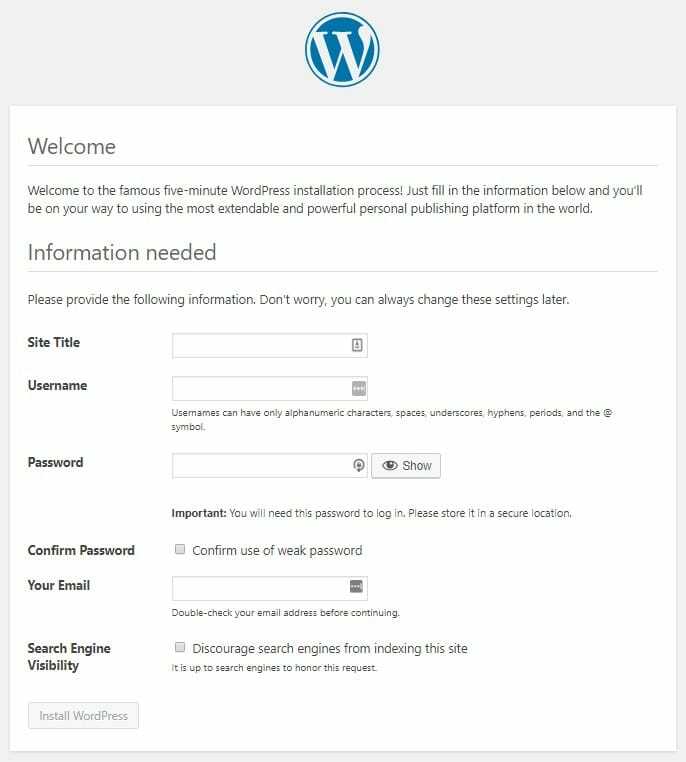 You can also check to ensure that you have installed WordPress correctly by visting “localhost” in your web browser. There you will be greeted by WordPress installation wizard, which will prompt you to choose your language of choice. 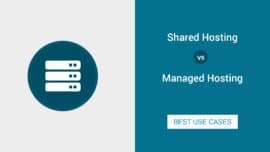 Whether you have setup WordPress on your hosted site or on your local environment. WordPress will welcome you with an installation Wizard. Don’t panic. What follows, will be easy steps, requiring you to enter the name of your created database, username and password to access that database. Unless you want to go adventurous, that’s all the information WordPress requires from you to setup its backend. If everything goes well. You will be required to click “Run the installation” button. This click will lead you to the last step in the installation wizard. 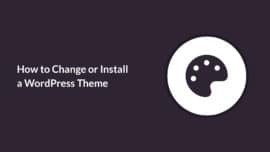 You can complete that step by giving your site a Nice Title, as well as creating a new Username/Password for your newly installed WordPress site and voila! There you have it a brand new WordPress Website. Oh! and remember to check “Search Engine Visibility” option as long as your site is in development mode and uses the demo data.